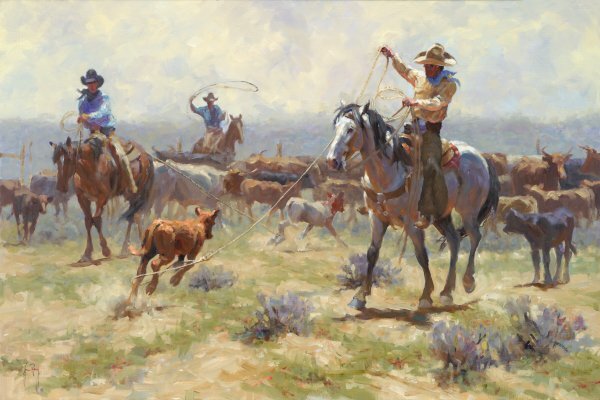 Jim Rey paints the everyday life of the working cowboy. This new image brings a cattle round-up to life. As these three cowhands work together to rope the calves, they know timing is the key to their success in capturng their wild charges. Years of experience in working a herd come naturally to these cowhands, who are about to bring in their maruading calf.